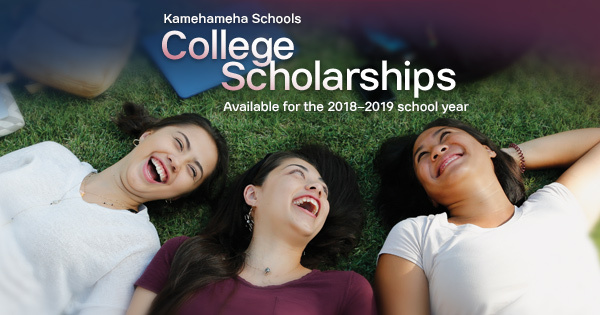 Kamehameha Schools is currently recruiting students for its College Scholarship programs for the 2018-2019 school year. The Nā Hoʻokama a Pauahi scholarship is a need-based program available to students pursuing undergraduate or graduate degrees at accredited KS-recognized post-high institutions in the US. Applications for college scholarships through Nā Ho‘okama a Pauahi are available from October 2nd through February 15th. 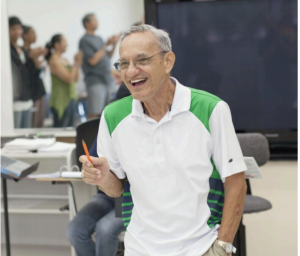 The merit-based ʻImi Naʻauao scholarship for graduate students is also available. This scholarship is limited to two years of awarding per recipient regardless of his/her degree progression. Applications are available from Nov. 15, 2017 through Jan. 31, 2018. The Pauahi Foundation offers over 100 scholarship funds created by private donors for part-time and full-time undergraduate and graduate students. Awards may be determined by need or merit, while some include specific criteria such as geographic location, field of study, GPA, etc. The Pauahi Foundation will accept applications from January 3 through February 15, 2018. KS is anticipating less document requirements and a simpler, smarter application. The maximum award amount varies between scholarship programs and ranges from $500 to $15,000. To be eligible, applicants must be residents of Hawai‘i, full-time, classified, degree-seeking students that have financial need and meet maximum funding guidelines. All award notifications will occur in May-April 2018. For a listing of all KS education program offerings, including updated timeline and entry point information are now available here. Kamehameha Schools policy is to give preference to applicants of Hawaiian ancestry to the extent permitted by law. 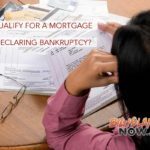 Ask the Expert: Can I Qualify for a Mortgage After Declaring Bankruptcy?